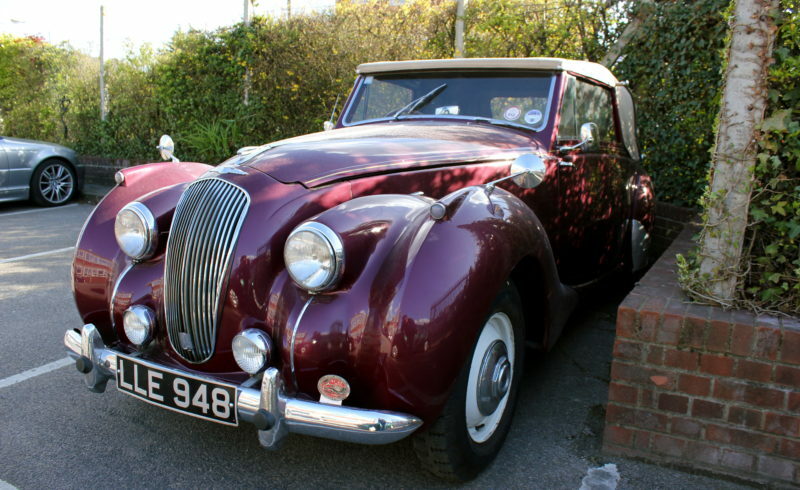 We are proud to offer this gorgeous Lagonda Tickford Drophead Coupe. It is a 1950 Drophead with only 4 previous owners from new. It has the 2580cc Overhead Twin Cam Straight 6 engine which was also used in the Aston Martin DB2. The vehicle comes with the original build sheet from 1950 aswell a real rarity!! It is an original car and has never been restored. The body work is in excellent condition and has fantastic lines. It starts on the button and is in very good running order. It has just been Mot’d and passed with flying colours, Being a pre 1960’s vehicle it does not require a MOT by law but this does give the buyer an extra peace of mind. It has cream leather interior and matching cream convertible hood both are in excellent condition. The speedometer reads 38 thousand miles which may be genuine but we cannot guarantee this. The car has spent some of its life in France before coming back to the UK several years ago.